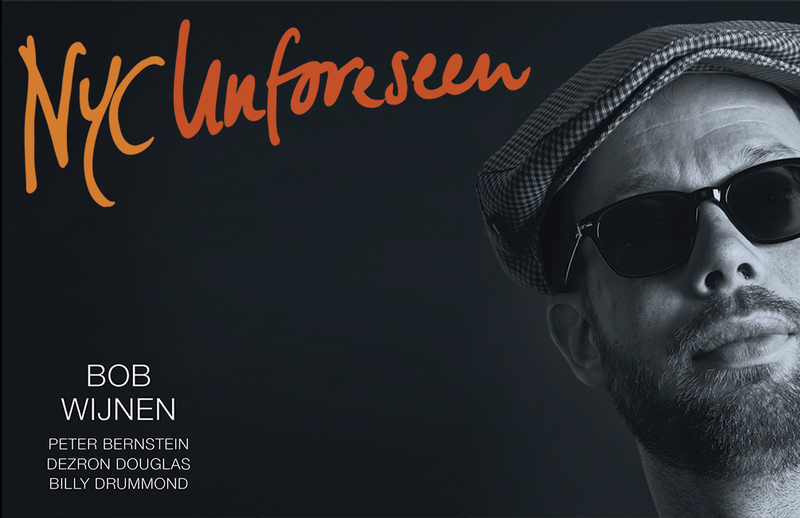 The first record from Netherlands-born, NYC-based pianist Bob Wijnen is a very enjoyable affair, full of subtle playing by Wijnen, Peter Bernstein on guitar, Dezron Douglas on bass and drummer Billy Drummond. The opening, title track moves along at a cracking pace and a real sense of swing, each of the musicians setting out their wares. They slow down a little for the next few numbers. Wijnen's take on the Burt Bacharach and David song The Look of Love casts it as a slow duet between the pianist and Douglas. The bassist takes an extensive solo around the melody as Wijnen adds impressionistic texture to the piece. If It's Magic is a similarly paced duet between Wijnen and Bernstein, both of whom play with an engaging sensitivity. Baby Steps is a reworking of Coltrane's familiar "Giant Steps", with just enough innovation to keep one surprised amidst the familiarity. The chords used by Bernstein here are reminiscent of pianist Bill Evans. Wijnen himself evokes Evans in his solo on E for Eye Opener, a subtle, lyrical tune. Wijnen is a regular, accomplished accompaniest, and there are times on this record that he seems to prefer taking a back seat, gently nudging things along. With piano and guitar as the lead instruments, it sometimes feels as if it might have benefited one kind of horn or another. Wijnen named one of the tracks Sublime Indifference: a lively tune on which he forcefully takes the lead, I think he did himself a disservice.